A $20 nonrefundable application fee. Official copies of your high school transcript or GED scores. ONCE I SUBMIT MY TRANSCRIPT(S), WHEN WILL I HEAR A DECISION? Admissions decisions are rendered on a rolling basis. Admissions decisions are not made until transcripts for all previous coursework have been received. Students can expect to receive communication within 7-10 business days, during non-peak seasons (Sept.-Dec.). Once a decision is made, electronic and hard copy communication will be sent. No. Only college-level courses that meet degree requirements for a student’s major will be accepted. Students transferring to HSSU start with a new GPA. Your GPA upon arrival at HSSU will be 0.00. This does not apply if you are a student seeking readmission. In that case, HSSU coursework will still be factored into your GPA. WHAT IF I HAVE AN ASSOCIATE OF ARTS (A.A.) DEGREE? The Associate of Arts degree is designated as the statewide general transfer degree. 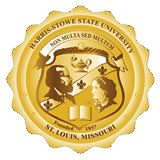 Students completing the A.A. degree consisting of a 42-semester-hour general education block of credit will have met the 42-semester-hour general education block for Harris-Stowe State University. Courses taken as part of an A.A. degree outside the general education block should be carefully chosen to ensure transferability to the program of study which the student intends to pursue at HSSU. All other associate degrees are evaluated on a course-by-course basis.